More sane advice from Mr. Bradbury. Not sure about the drunk part but perhaps my alcohol-to-ink blend is a bit too thin lately. 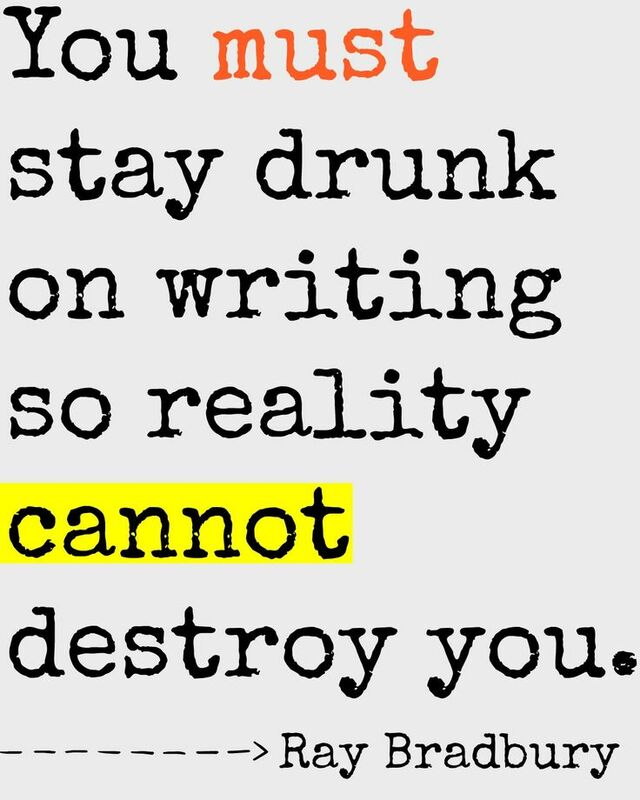 This entry was posted in author quotes, blogging, humor, Uncategorized, writing advice, writing tips and tagged Ray Bradbury, Writing, writing tips. Bookmark the permalink. Now I know where my mistake is…..I stayed sober !